Across Central Florida – The Grand Golf Resorts of Florida, a Salamander Collection, has launched one of the country’s most comprehensive golf packages that plays across its newly created Legends of Golf Trail. Featuring nine courses designed by Jack Nicklaus, Arnold Palmer, Tom Watson and Larry Packard, the Trail stretches from the Gulf to the Atlantic and features tournament layouts at Innisbrook Resort in Tampa Bay, Reunion Resort in Orlando and Hammock Beach Resort in Palm Coast. The package features six nights’ accommodations and nine rounds of golf, which can be used consecutively or broken into three separate trips (two nights and three rounds at each resort). In addition, it includes spacious villa accommodations, breakfast daily in the resorts’ restaurants, $20 retail credit per each resort stay, advance starting times at time of reservation, unlimited use of practice facilities, a daily one-hour golf clinic, club storage and locker room service, and unlimited access to each resort’s fitness centers. 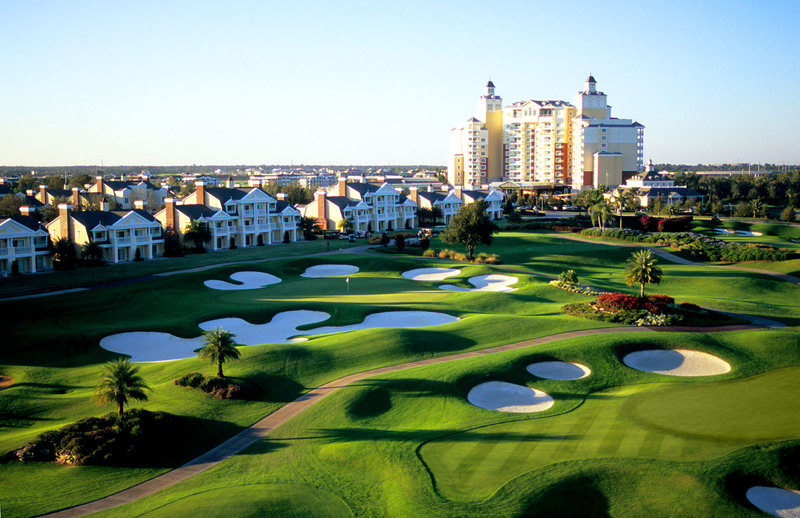 In addition to 162 holes of golf, Grand Golf Resorts of Florida feature an array of spacious villa accommodations, gourmet restaurants, family-oriented water parks, recreational programming and relaxing spas. Reunion Resort is also home to the ANNIKA Academy, an instructional facility designed by Annika Sorenstam. Legends of Golf Trail Package rates begin at $292 per golfer, per night, based on quadruple occupancy. Additional restrictions may apply. Offer is valid through 12/31/13. To make a reservation, call 888-770-6501, or for more information, visit www.grandgolfresorts.com. Three of Florida’s grandest golf resorts have united under the management of Salamander Hotels & Resorts. Grand Golf Resorts of Florida features Innisbrook Resort near Tampa, Reunion Resort in Orlando, and Hammock Beach Resort in Palm Coast. The collection includes 1200 luxurious villa-style accommodations, and 162 holes of golf designed by Jack Nicklaus, Arnold Palmer, Tom Watson and Larry Packard that form the Legends of Golf Trail, which traverses 200 miles between the resorts and across the Sunshine State. All three properties are members of Preferred Hotels & Resorts. For more information, visit www.grandgolfresorts.com or call (888) 770-6501. Salamander Hotels & Resorts is a privately owned and operated company based in Middleburg, VA, just outside Washington, D.C. Founded by entrepreneur Sheila C. Johnson in 2005, the company has a portfolio that features the Grand Golf Resorts of Florida, a collection of three stellar golf resorts including the recently renovated Innisbrook Resort near Tampa, Reunion Resort in Orlando and the oceanfront Hammock Beach Resort in Palm Coast; and the eagerly anticipated Salamander Resort & Spa in Middleburg, a 340-acre equestrian-inspired, luxury resort opening in 2013 and located near Washington, D.C. For additional information, call (540) 687-3710 or visit www.salamanderhotels.com.